The Cheadle Center for Biodiversity and Ecological Restoration promotes the teaching of diverse undergraduate courses in Ecology, Evolution and Marine Biology, Environmental Studies, and Geology and graduate courses in the Bren School of Environmental Science and Management. It also supports faculty, staff, and student research interests by providing valuable resources such as research collections and natural areas for scientific study. CCBER satisfies the University’s obligation to provide stewardship of campus lands, rich in biodiversity, and the ecological restoration program encourages land restoration on the campus. Through outreach programs such as Kids in Nature and taxon-focused workshops, CCBER fulfills the K-12 and community educational goals, while staff and faculty curators collaborate to provide scientific information and advice to private entities and other academic institutions. In the Restoration Ecology Internship Program, students and volunteers learn restoration site design, implementation and maintenance techniques, native plant horticulture, plant and animal identification skills, and ecological monitoring protocols. Prior enrollment in the Ecological Restoration Field Skills Course (ENV S 95) is required in order to be an intern. 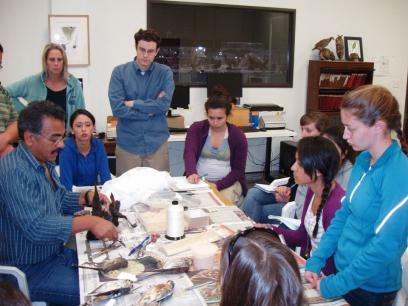 CCBER also offers specialized museum internships for graduates and undergraduates in various departments, including specimen curation and archives processing in the library. Part of CCBER's mission is to improve and develop ecological knowledge and restoration strategies for the region. As such, we often encounter research questions which may be ideal learning experiences for students or community members. Commitments of up to a year long are often required to see the process through from idea to funding and implementation. Students are currently working on assessing lagoon water quality, evaluating restoration site soil texture, assessing bird habitat links to benthic invertebrates, monitoring wetland hydrology, and analyzing data sets for patterns. Funding sources have included URCA and Shoreline Preservation Fund. Contact Lisa Stratton for more information. Kids in Nature is an innovative and highly regarded program designed to enrich the learning experiences of underrepresented and underserved youth in our community with a yearlong dynamic combination of hands-on, inquiry-based, classroom activities, interactive custom-designed computer simulations, and field trips. See also Education Practicum Course. CCBER hosts a weekly seminar series through the EEMB Department for undergraduates, graduates, and community members. 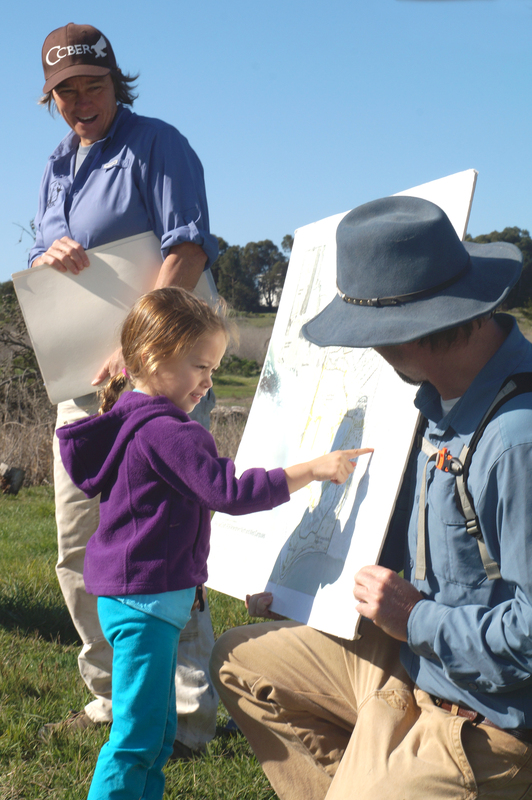 Seminars feature guest lectures by research scientists, land managers, policy analysts, and community leaders and tours of local restoration projects.